Bye Bye Under Eye™ Anti-Aging Concealer Waterproof is rated 4.5 out of 5 by 111. An award-winning Anti-Aging, full coverage treatment concealer that delivers highly pigmented natural-looking perfect coverage. 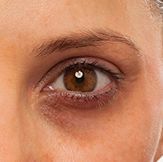 Bye Bye Under Eye™ uses Anti-Aging technology to help treat the appearance of lines, wrinkles and discoloration, conceal dark circles, age spots and redness, conceal facial imperfections without settling into lines and wrinkles; and helps to diffuse the appearance of wrinkles instantly. 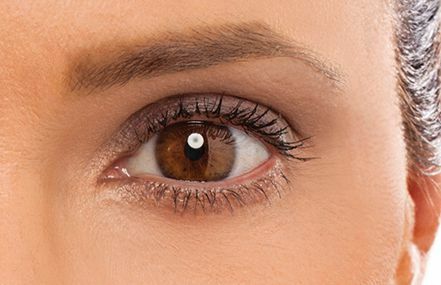 *Neutral Medium Shade is the most popular for light and medium skin tones. CAPRYLIC/CAPRIC TRIGLYCERIDE, BIS-DIGLYCERYL POLYACYLADIPATE-2, VP/HEXADECENE COPOLYMER, CETYL ALCOHOL, SILICA DIMETHYL SILYLATE, OZOKERITE, PHENOXYETHANOL, AQUA, ASCORBYL PALMITATE, TOCOPHEROL, TOCOPHERYL ACETATE, MAGNESIUM ASCORBYL PHOSPHATE, CHOLESTERYL NONANOATE, CHOLESTERYL OLEYL CARBONATE, CHOLESTERYL CHLORIDE, CHRYSIN, GLYCERIN, HYDROLYZED COLLAGEN, N-HYDROXYSUCCINIMIDE, NIACINAMIDE, PALMITOYL OLIGOPEPTIDE, PALMITOYL TETRAPEPTIDE-7, RETINYL PALMITATE, SODIUM HYALURONATE, STEARETH-20.- MAY CONTAIN: TITANIUM DIOXIDE (CI77891), IRON OXIDES (CI 77499, CI 77492, CI 77491). A small amount of this highly pigmented formula goes a very long way. Apply alone using the IT Cosmetics® Heavenly Luxe™ Dual Airbrush Concealer Brush or with clean fingertips for full coverage and a radiant, hydrated, dewy glow. For a more matte finish, set with IT Cosmetics® Bye Bye Pores™ Silk HD Micro-Finishing Powder. Camouflage under-eye circles with the “Hollywood V.” Grab your IT Cosmetics® Heavenly Luxe™ Dual Airbrush Concealer Brush and swipe the color-correcting Bye Bye Under Eye™ under your eye in a “V” shape from your outer to inner corner. Then, buff the concealer into your skin, until you get to the center of your lower lid, where you’ll want to feather the concealer for a lighter application. it’s your 8 hour of sleep in a tube! Best Selling, Award Winning, Cult-Favorite! Rated 5 out of 5 by tinkers83 from Best.Concealer.Ever By far, the best concealer I've ever used. A little goes a long way. It blends easily, covers my red undertones completely, and rids the dreaded dark (sleep-deprived) circles. Highly recommend. Rated 5 out of 5 by Katrina615 from Wonderful product I first tried this as a sample in a monthly make-up subscription; I immediately feel in love. Rated 5 out of 5 by Blonde1960 from I am so happy to have discovered It Cosmetics!!! Love everything I’ve tried. Rated 2 out of 5 by Sal845 from Dissatisfied I bought this few months ago. Dissatisfied with it. Doesnt do what is says. Would not recommend this. I love some of the other products mascara ect. Hi - I currently use Light Medium in your black tube Bye Bye Undereye. - what color is that most closely matched with in the silver tube? What is the difference between Bye Bye Under Eye Anti-aging Concelear Waterproof and Bye Bye Under eye? Both are anti-aging and waterpoof! Hi there! Thank you for your question. &quot;Ultra Fair&quot; is the shade description for the Light shade in Bye Bye Under Eye&trade; Anti-Aging Concealer Waterproof! You can select the Light shade for future orders. We hope this helps. XOXO Tina. I wear the cc illuminating CC cream in medium tan. Which color concealer should I purchase in the waterproof anti-aging concealer? I wear &quot;rich&quot; in the CC cream, what shade should I order in the Bye Bye Under Eye concealer? Deep seems a little dark....Thanks!